It cures AIDS and most curses, goes well with Gypsy tears...VERY NIIICE! I think they mistranslated "nose"
moar like Jew's JEW, amirite? Jews Ear is the common name for Auricularia auricula-judae. A fungus frequently used in Asian cooking, which the photo clearly shows. Fail IMO. Fail. Jew's Ear is a shroom you fool! Double FAIL. 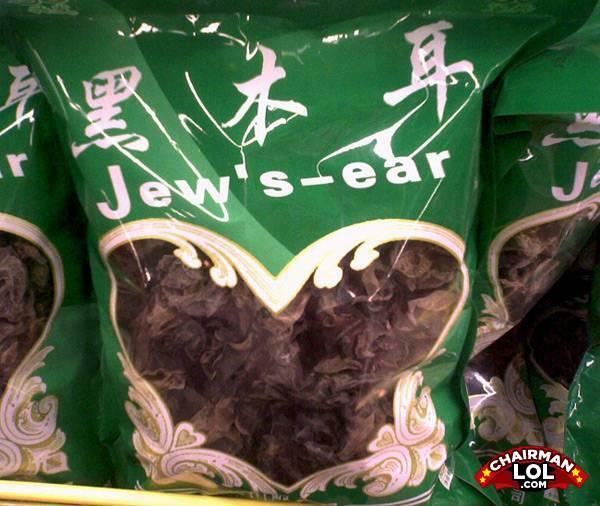 Jew's ear is a mushroom. "would off" ROFLMAO. What is better then winning the special olympics?